I have been all about scones lately. I suspect it has to do with those feelings we get in the middle of winter - the desire to shut ourselves off from the (grey and dismal) outside world and snuggle in with a cuppa and a warm baked good. Hibernation is oh so tempting in January! 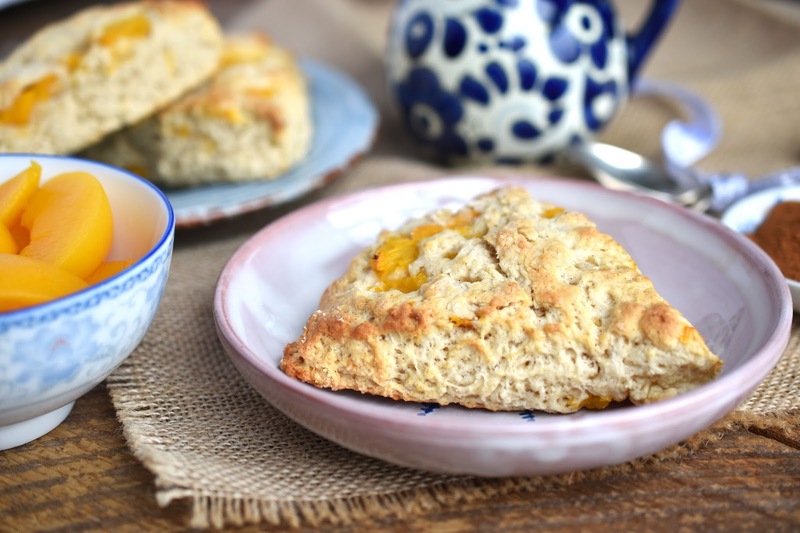 But as we are also meant to be thinking of good health in the new year, I thought I'd create a comforting vegan scone recipe with added nutritional benefits, using fruit that's easy to find in winter. 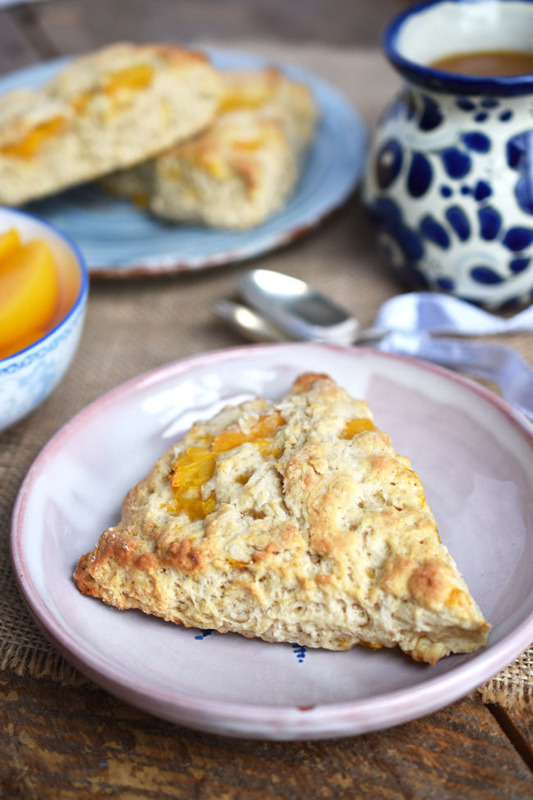 The result was these Peach Perfection Vegan "Buttermilk" Scones. Buttermilk is in quotation marks because clearly I didn't use buttermilk for vegan scones - these scones call for a combo of almond milk (or you could use another non-dairy beverage such as coconut milk) and white vinegar. The vinegar curdles the milk and provides a buttermilk effect. 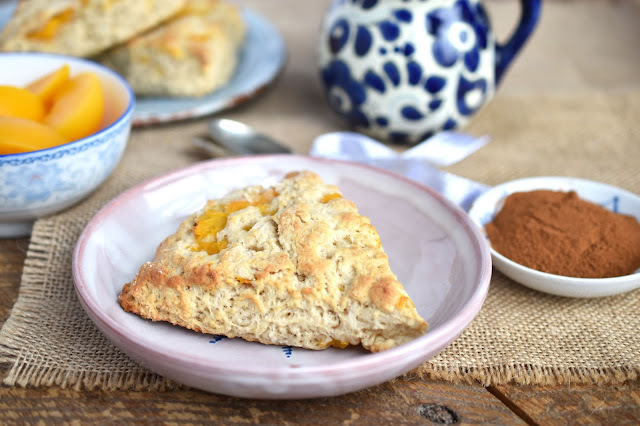 For this new scone recipe, I adapted my favourite recipe for Scottish Scones, adding cinnamon and ground ginger for a gentle sweet and savoury effect (and an unbelievable fragrance when these scones are baking in the oven!). 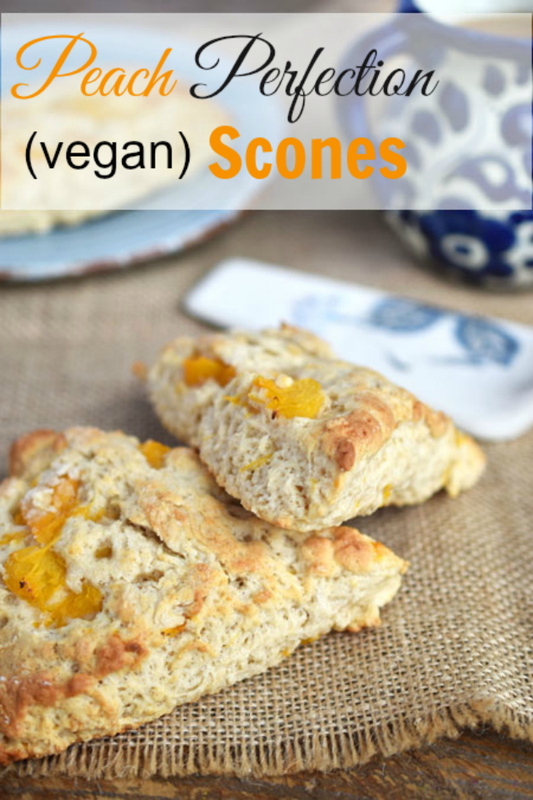 This vegan scone recipe also calls for canned peaches - they are handy all year round for a convenient nutritional boost. Of course you can also eat the peaches straight out of the can. I find they provide the satisfaction of a sweet treat without the usual fat and calories of a more decadent dessert. 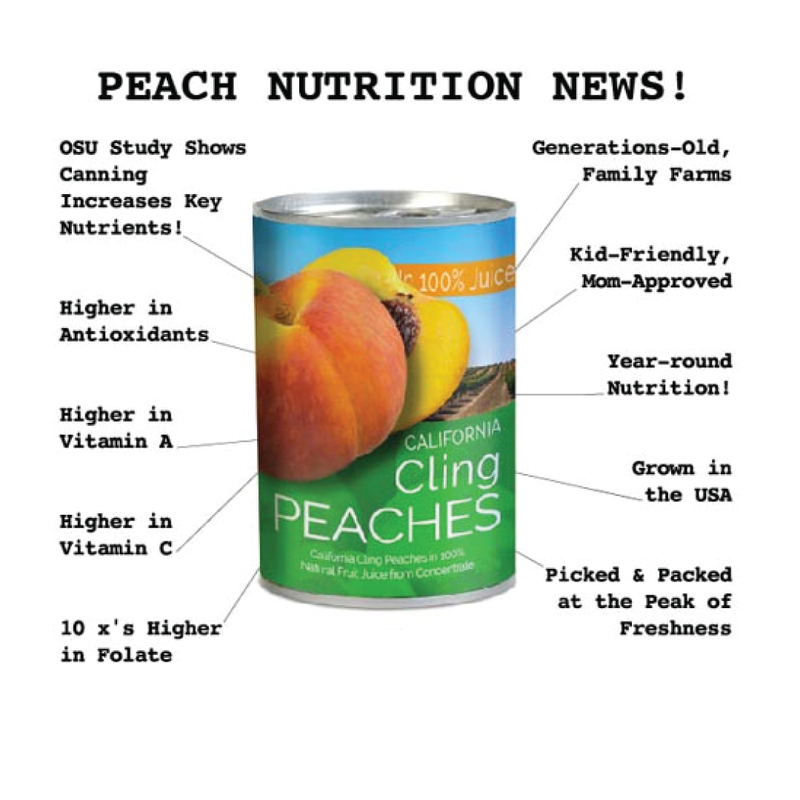 Look out for California cling peaches on the ingredients label. 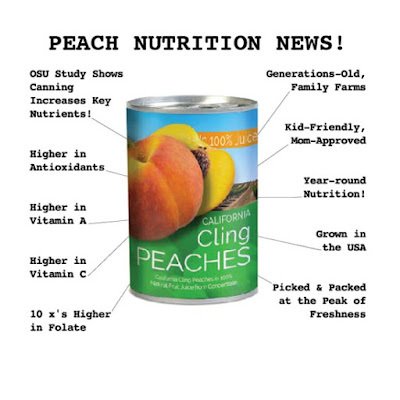 California cling peaches are picked and packed in their own juices, usually within 24 hours. to ensure they retain their appearance, texture, flavour and nutritional content. 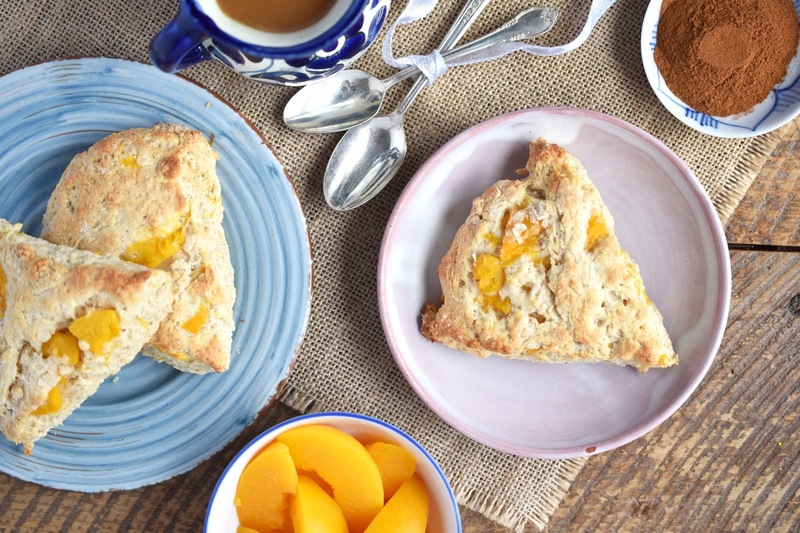 These dense, moist Peach Perfection Vegan Buttermilk Scones will give you that comfort food feeling you crave on a wintry day, while providing you with key nutrients including Vitamin A, Vitamin C and folate via the canned peaches. They are slightly sweet, making them a perfect afternoon snack or post-dinner treat. 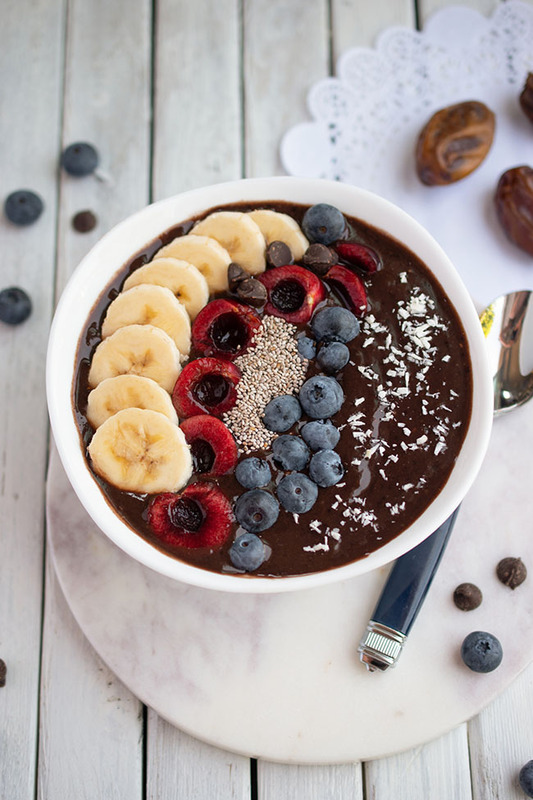 You can also eat one for breakfast with your favourite topping - jam of course, but even nut butter for added protein. 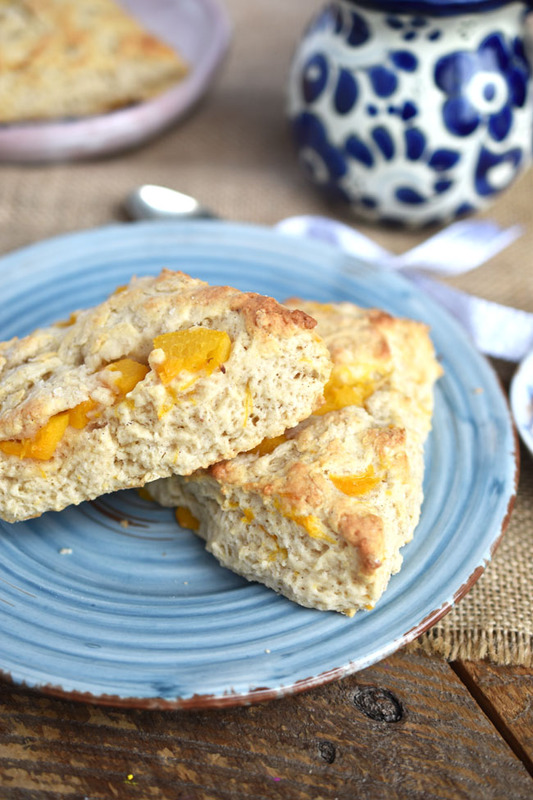 If you don't have much experience with making scones, not to worry, these scones are simple to make. Preheating the oven is step one and it's important because the scones only bake for 10 to 12 minutes so you need the oven to be good and hot. Be sure to flour your work surface before turning the dough out of the bowl too. 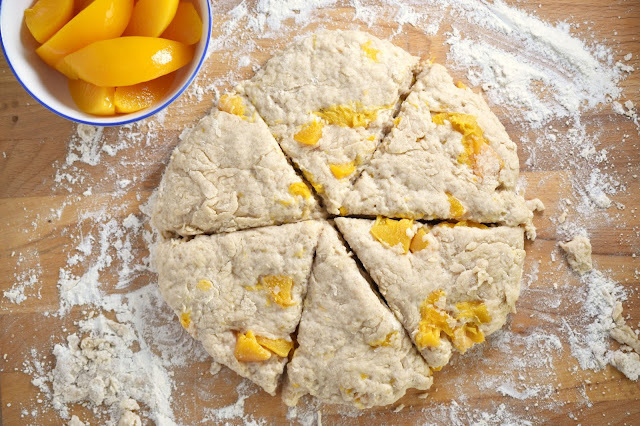 Otherwise your dough will be stuck to your counter or baking board. I spread a little pile of flour on my wood slab before turning out the dough and then add a bit more flour to the dough if I find it's sticking to my hands. You should only have to knead the dough about five or ten times before it's all nicely stuck together and you can pat it down to make a circle from it. (I don't bother with a rolling pin - I just shape it with my hands.) I like to cut the scones at least an inch thick because I want them to rise to a good height. Once you have made scones a few times you'll be an old pro and they'll be so quick to whip together you'll want to make them all the time! This recipe makes six large scones but you can divide the dough in two and cut wedges from two circles to make eight or ten small scones. Eat these peach scones warm a couple of minutes out of the oven, cut in half and spread with vegan margarine. Or save some for the next day. I wouldn't keep them for too long because they'll start to dry out. But that shouldn't be a problem - if you're like me you'll want to make more every few days. My daughter and I frequently battle over who is going to get the last scone! Do you make scones? 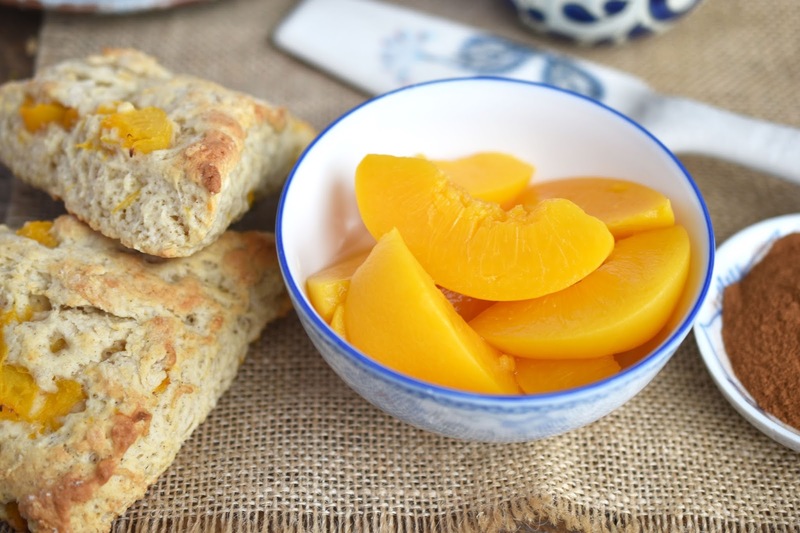 What do you use your canned peaches for? In a large bowl, stir the dry ingredients (flour through ginger) together. Stir in peaches and then the “buttermilk” mixture. 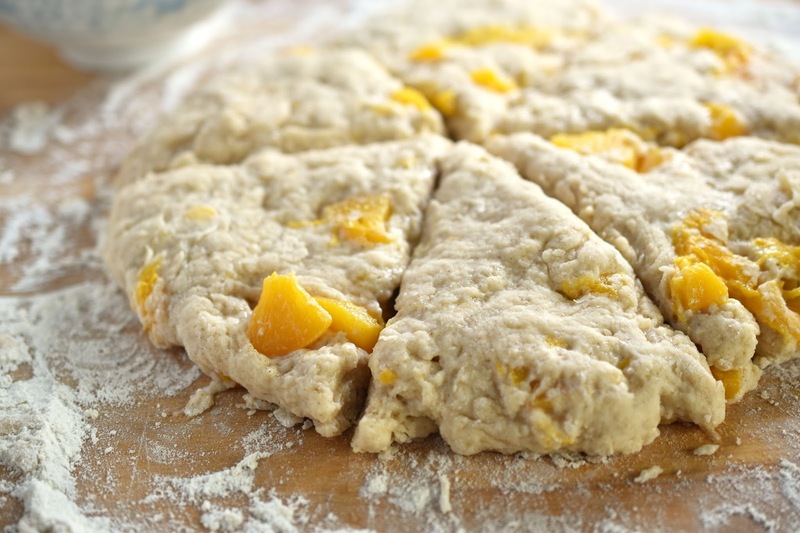 Turn the dough out on a floured surface and knead a few times until it becomes easy to handle, incorporating more flour if the dough is too sticky. Pat dough out to 1-inch thickness and cut into rounds using an over-turned drinking glass dipped in flour (about 3 inches in diameter). Or form dough into a 1-inch thick circle and cut into six wedges with a sharp knife. Place scones on prepared baking sheet. Bake for 10 to 12 minutes, until golden. Serve warm with vegan margarine or eat them later. Enjoy! *This post is sponsored by the California Cling Peach Board. All opinions are authentic and my own. Thank you for supporting the awesome companies that partner with Woman in Real Life. I may just think about shipping in future! ;) Or at least selling at a farmer's market? You may have something here. :) Thanks Gabriela! 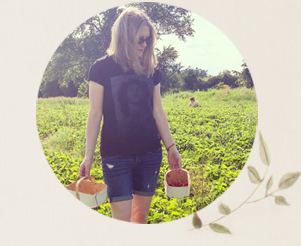 Ok I am making scones this weekend!